Wow! For me, the year 2012 seemed to drop off a cliff in the last few weeks. Illnesses, injuries, health issues, and other surprises – for me as well as the children – have really slowed me down, not to mention the way the Holidays seem to take on a life of their own, when they finally arrive. Although we did have a good time and made some great memories with the children and with family and friends, I am really looking forward to a little ‘calm’ and recuperation in the first few weeks of the coming year. In the spirit of wrapping up the year 2012, I’m posting my favorite cards from the year. It has been a fun year of creativity for me, with some good hits and some obvious misses, but with definite improvement overall, I believe. In fact, I keep a spreadsheet of all the cards I’ve created and entered into challenges throughout each year, and this year shows that I created and entered a total of about 145 cards, which equals approximately 12 cards per month. 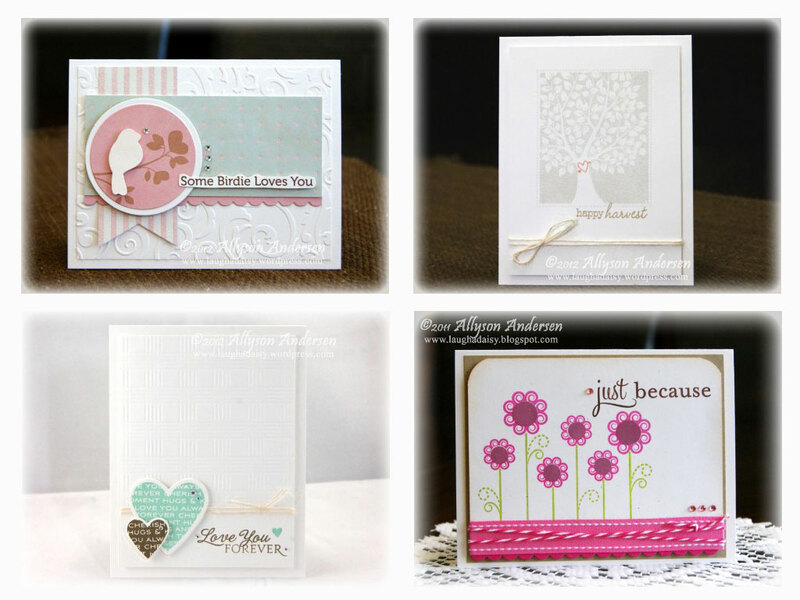 And that doesn’t count all the cards I created but didn’t have the courage or confidence to post. 😉 That’s decent creativity for a homeschooling mom, I’d say! Although, after spending most of my creative time in December finishing up card sets for neighbor, family, and friend gifts, I’ve actually been enjoying the little ‘rest’ from it all now before the new year arrives. I tried to narrow down my list to only the top 10 cards or even the top 12, but I just could not get it below 16. (hee hee!) 😉 So here is a little lineup of my picks for the year, in no particular order. During our Christmas and New Year’s break from lessons, I also spent a great deal of time getting my crafting supplies and other areas organized a bit better. 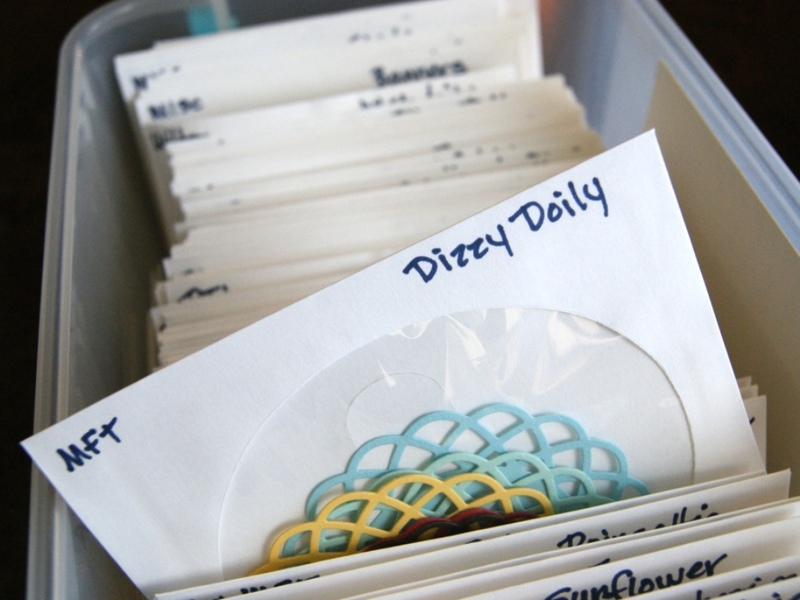 And I’m looking forward to getting into some sort of crafting routine again soon, now that things are more organized and where I can easily find them, especially my neglected supplies! 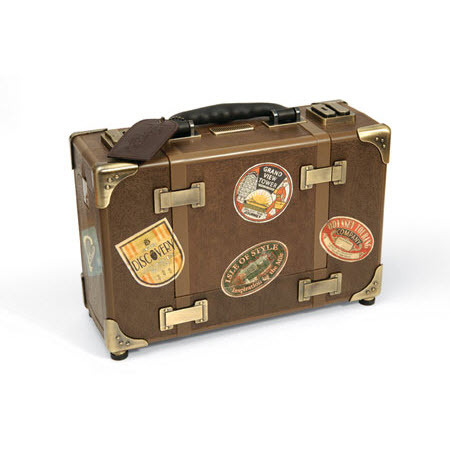 And I’m very much looking forward to becoming better acquainted with my new Christmas gift from my sweet family this year – a Tim Holtz Vagabond machine! I hope you’ve all had a fantastic Christmas, and Happy New Year to you and yours! P.S. – You might want to stop in again on Thursday, as I have a little surprise to start off the New Year. 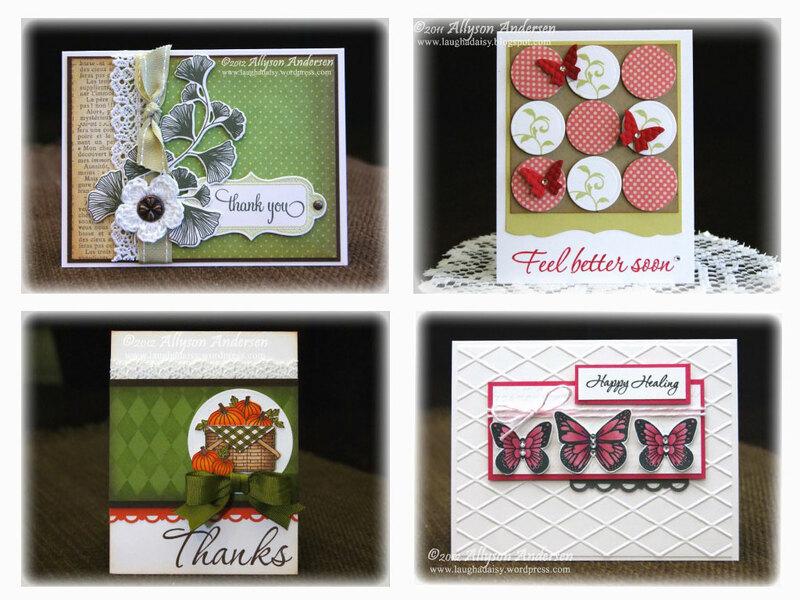 I’m following along with Karin Martin’s Year-In-Review Blog Hop in doing a review post for my favorite cards or projects, as we bid farewell to the year 2011. And I’ll warn you right now that this post is probably a bit more verbose than most are looking for, so if you’re here for the cards, you may want to quickly scroll down for the ‘drive-through’ view of them all. Otherwise, grab your cuppa and follow me – after all, the real reason I like to blog is because I like to write…. I began blogging again in January of this year. I actually started blogging in 2007 after our twins were born, as a way for extended family and friends to keep updated on our family, since we were keeping two preemie babies indoors through their first winter to help them stay healthy. But I quit in early 2010, for various reasons. 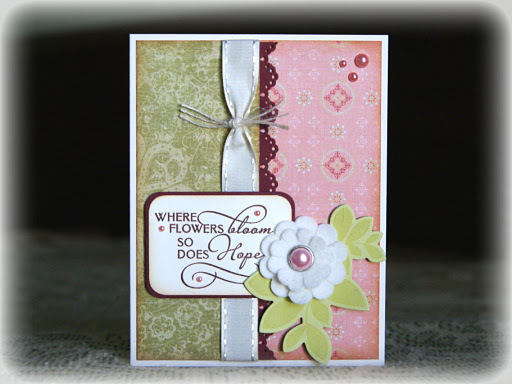 I began creating really basic cards about 8 years ago, but started getting into it more in 2009. 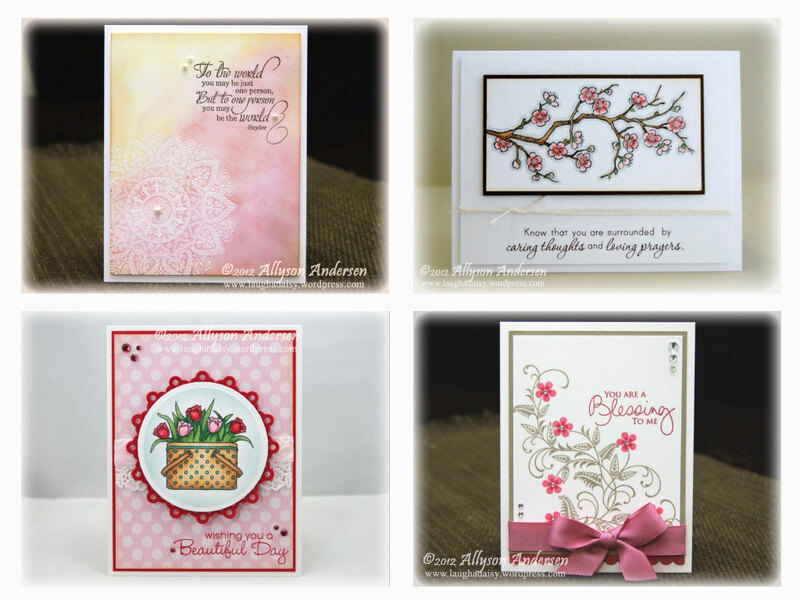 Before quitting my blog, I did a Pay-It-Forward post where I gave each of the first three people to comment a pack of handmade cards. That’s when I hatched my plan to give out card packs as Christmas gifts in 2010. I started looking around the internet for inspiration and was pleasantly surprised at the amazing quantity of craft blogs there. 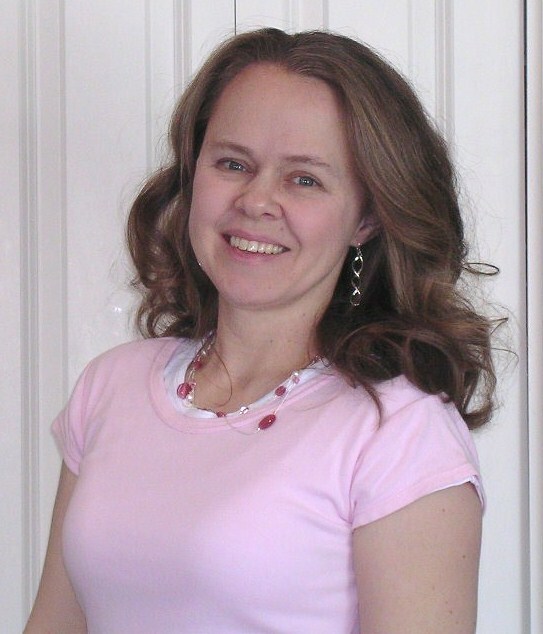 It was an entirely new world to me, which not only provided awesomely fabulous inspiration at every turn, but it has also been the culprit behind my shrinking wallet, as I found new companies with all kinds of products to use! My stash of craft supplies has grown exponentially this year, and I’d like to think that my creativity has grown and evolved as well. Anyway. Here’s a little month-by-month walk down memory lane. 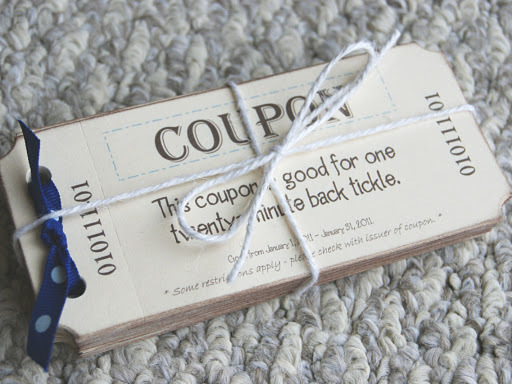 January – Hubby’s Book of Coupons is the only project I posted in January. Great project, turned out much better than how I saw it in my head. 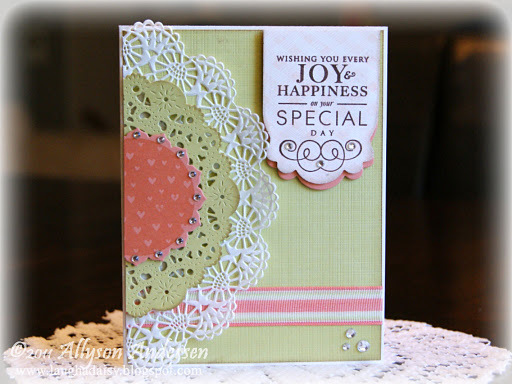 February – I entered this card in Dawn McVey’s Color Combo Challenge as part of PTI’s 4th Anniversary festivities this February. 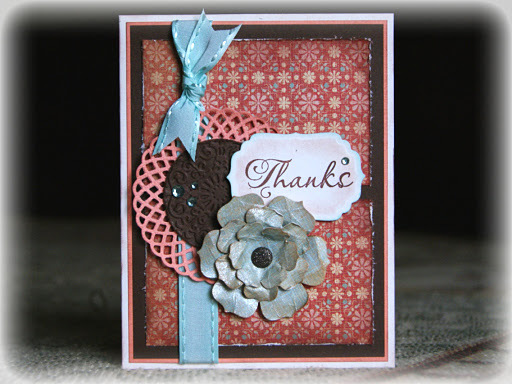 This card helped me step outside my favorite-earthy-color-combos comfort zone. I never would have thought to use colors like these together! 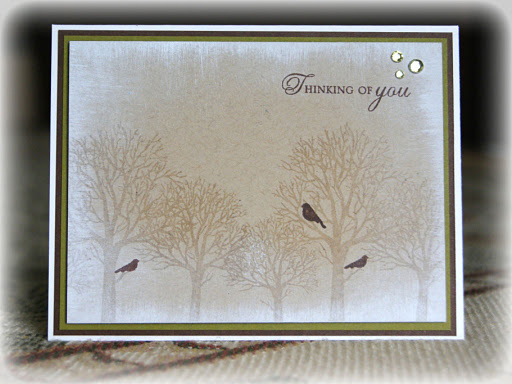 ﻿March – This card was my very first Papertrey Ink Blog Hop entry, also entered in a Heather Pulvirenti Totally Hues Challenge. 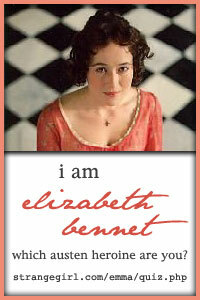 It was singled out for recognition as one of her Top Five cards. My first ever recognized card! 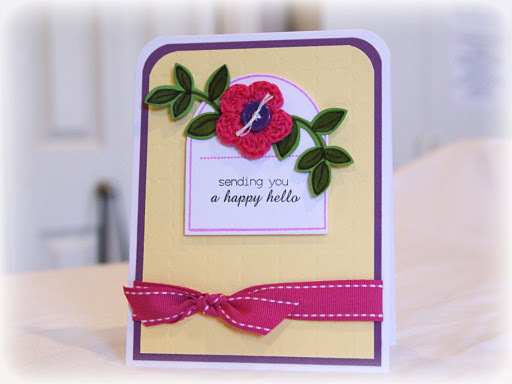 😉 I taught myself how to crochet just so I could make those little flowers, and this was the first one I used on a card. 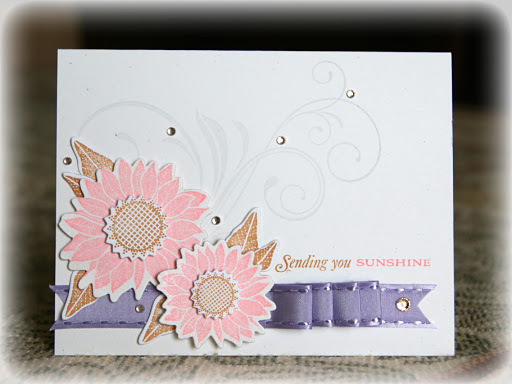 April – this bookmark meant I started trusting stamps more – using them for backgrounds, for heat embossing, etc. 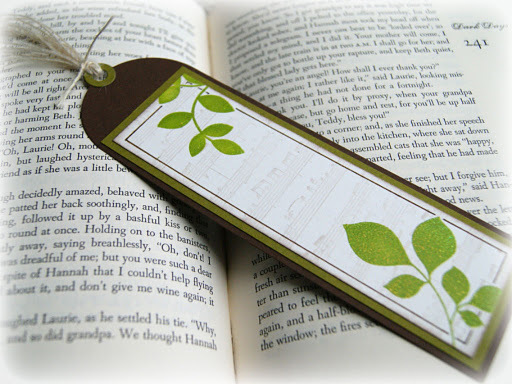 I have always liked to make my own bookmarks, and learning how to stamp better has made creating those even more fun. 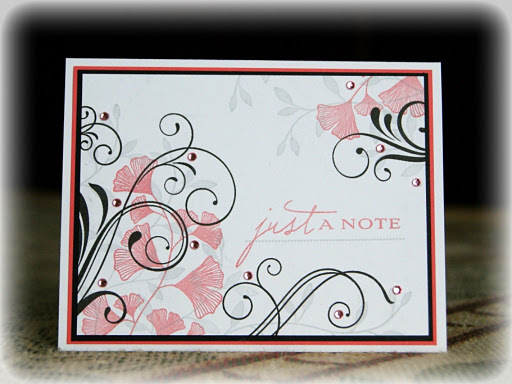 June – This card helped me start to make a tiny dent in my gargantuan stash of designer papers and cardstocks. I would buy up stacks of paper just because they were soooo beautiful, and when I came home, I had no idea what to do with them all! There is still much room for improvement in my DP-using skills, I know, but I’m happy to at least be using more of my DP’s! 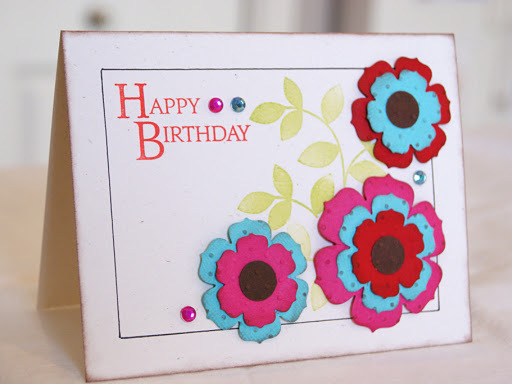 July – My first ever Papertrey Ink shoutout – for this card. I was so thrilled, but had to convince Hubby it was a big deal! Besides the shoutout, though, this card speaks me and my style and how I like things in general: earthy, practical, peaceful, pretty, but simple. I tried a new technique, I liked how my stamping turned out, and it turned out good enough to be recognized. Fabulous! 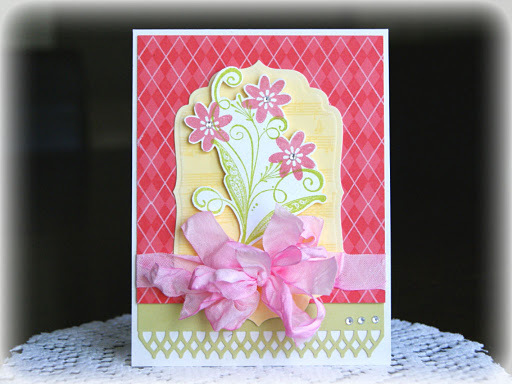 August – This card is special to me because of the special person for whom it was created. I love it when creativity has a personal meaning like this – makes it more worth the doing. 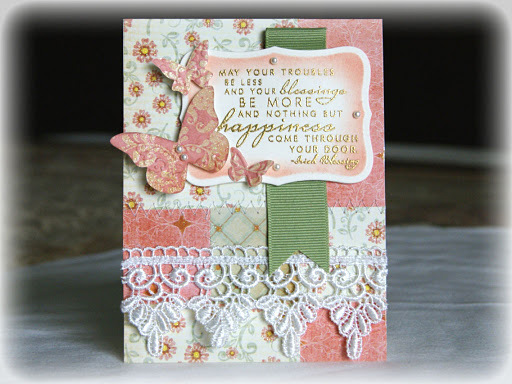 September – Love this card. I like that my brain is starting to see inspiration in the world around me, and that I am more able to channel that inspiration through to my creative projects with good results. Not only that, I am actually excited to create, rather than just doing it to make gifts for other people when I need them. Now, I am more likely to create just for me, just for fun. Although, creating for others always feels good, too. November – It’s sometimes difficult for me to translate sketch elements into reality and make them look decent. I hope that more experience with them will make it easier for me to get good results. I like this card because I feel like I was able to create a fairly reasonable interpretation of the sketch and also able to use colors that would normally frighten me away at first sight. I am starting to enjoy more and more color combinations, and I like that. December – This card just makes me smile. 🙂 Love the colors, love the simplicity, love that it’s pretty much a one-layer card… Everything about it makes me happy. A perfect card to round out my list. I’ve had a good year, and I am looking forward to another good one in 2012. 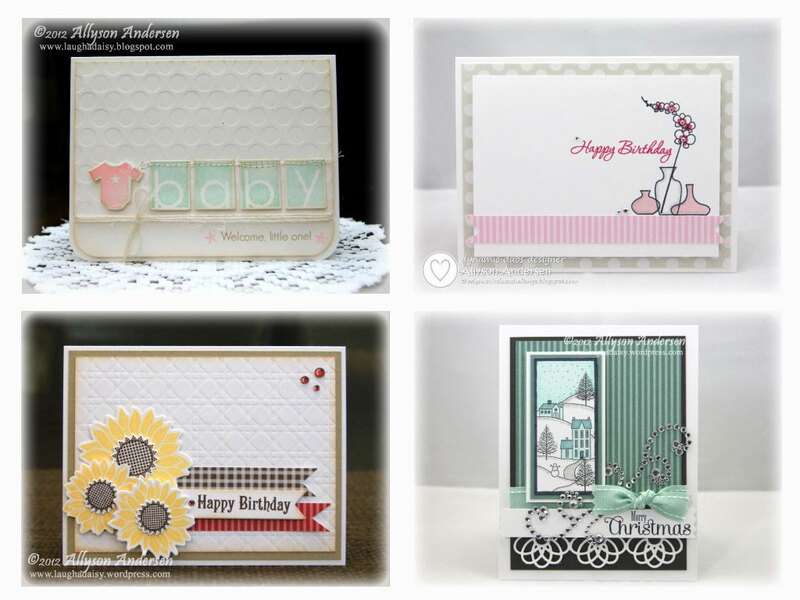 To see more Year-In-Review Blog Hop posts, click here to go to Karin Martin’s blog.